When it comes to understanding the details behind many retail shopping centers, the source of record is often the original architects who designed and planned every square inch of space. Such is the case with one of the first open-air lifestyle centers in the country: Easton Town Center. This 1.7 million-square-foot, 240-store center with anchors Macy’s and Nordstrom was an early model of the modern lifestyle center — designed to resemble a small town — when it opened in Columbus, Ohio, in 1999. 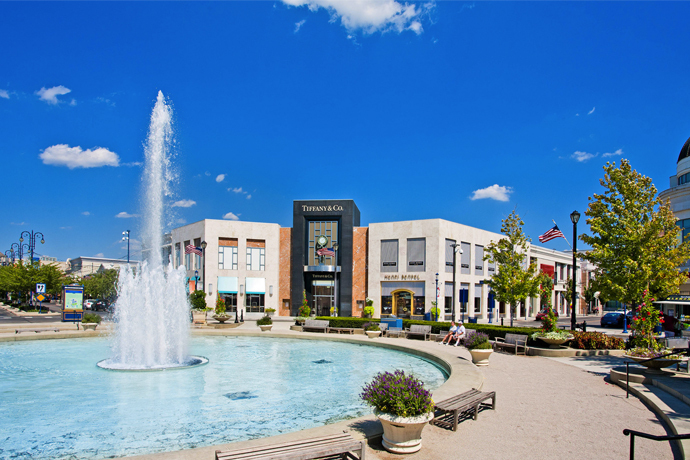 Lori Bongiorno has been intimately involved with Easton Town Center from the beginning. In fact, her daughter was born just two days after the center’s grand opening in June 1999. Bongiorno is the principal director of the commercial studio of M&A Architects, which is based in Columbus and Cincinnati and which was the Easton Town Center lead architecture firm from the project’s conception in 1997. The development has been in a near perpetual state of evolution ever since, with its second phase following only two years after the grand opening.